Was Bloomberg's Out-Of-State $200,000 Involved? "are doing zero percent for public safety." Can private person buy 2,000 guns with no license? 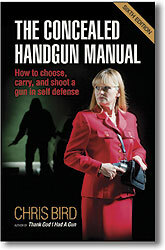 Mayors Against Guns involved, is mayor Bloomberg too -- or his cash? 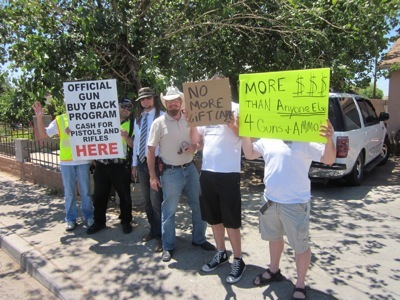 NOTE: My Arizona readership already saw the first part of this story in an eblast -- the state newspaper decided not to run it because it contradicts virtually everything they said about the glorious "Phoenix Gun 'Buyback' Program." They championed it like it was the State Fair. My report (reprinted at the end) revealed it for the expensive vain hoax it was. They didn't like having their laughing-gas balloon deflated. The second half below is breaking news -- connect the dots on two thousand (2,000) guns bought with washed money -- $200,000 delivered by an unknown bag man (one police officer suggests bag men) and no publicly disclosed investigation. If it was billionaire mayor Michael Bloomberg as the well-founded rumors suggest, he would have had to do it anonymously, and wash the money pretty good, because it's illegal to buy guns like that across state lines. 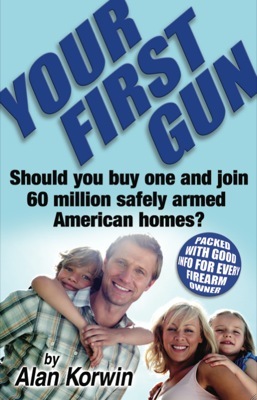 Buying 2,000 guns that way would be 2,000 federal and state felonies. Giving money to someone else to buy guns for you -- knowing you can't buy them yourself -- would be a "straw purchase," something mayor Bloomberg knows is strictly illegal, since he has been fighting against straw buyers publicly for a long time. We don't know who put up the cash and he sure isn't saying. The crime doesn't require that the true buyer ultimately receive the guns, just that the money moves through a knowing straw man (or woman). The broadcast and print "news" media promoted the buyback event, proclaimed it good, spewed hyperbole about taking guns off the street, making us safer, disarming criminals, saving children. At last, something good was being done about all those nasty guns. You couldn't miss the fanfare, it was even on billboards. There was no mention how that was paid for. These guns were never "on the street" of course, with its dirty ghetto connotation, they were in closets and drawers in folks' homes. That's just anti-gun racism that bigots like to sling at gun nuts, their "N" word for you. But I digress. Somebody wrote the check that provided the money that was given to the perpetrators that bought the guns in the Phoenix gun buyback. It doesn't matter who. And it's really a buy up, you can't buy back something you never owned in the first place. We know how it was done. The anonymous bag man gave the money to Hildy Saizow and her anti-gun-rights group, the deceptively named Arizonans for Gun Safety (AGS), according to Phoenix police. 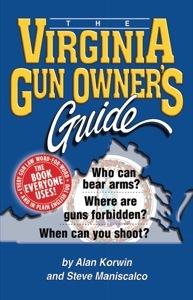 Who has AGS taught gun safety to lately? That's rhetorical, the answer is no one, ever. They're in the business of buying guns to melt. And campaigning against gun ownership and gun rights. They took the lucre and gave it to Basha's grocers, which includes Food City and AJ's Fine Foods. The Bashas turned it into 2,000 $100 grocery gift cards. It's not known if the insiders transacting these dollars for grocery cards for eventual guns cut discounts for each other, announcing big numbers but using smaller figures between themselves. They know of course, but you could have been lied to, there is zero accountability ("the donor wants to be anonymous"), and the Phoenix Mayor, Greg Stanton, a member of Bloomberg's secretive Mayors Against Guns (MAG)*, is in cahoots and playing along. So that's how Bloomberg (or MAG, his anti-rights group, or whoever it was, we don't know and the police and BATFE aren't telling) washed all the anonymous cash. The $100 cards were given out with the Phoenix police, right at the churches where the buy ups took place, and the consumers got them right at the point of exchange. Payment for goods received. We can all do that, right? An exchange of value like that has a name. It's called a sale. In a voluntary abandonment or relinquishing of property you don't get anything. Phoenix PD didn't just get 2,000 guns, as one officer feebly mumbled. Those guns cost somebody two hundred grand. We also know that a lot, maybe most of the people turned in virtually worthless junk and ripped off the system, so the cash may have bought far less than you think. Police do have plans to keep whatever they consider "historic." That's in the first story, linked at the end. That's a good question. Who has title to the property? Why didn't the media ask? Oh, that's right, they're 100% in the tank for this dog-and-pony show -- honorable reporters need not apply. The city washes its hands of all direct financial involvement, with Mayor Stanton quick at the draw with "no tax money used" before you even ask. Scores of city police officers have been involved. Scheduling, cruisers, traffic control, coordination with the churches, advertising, press conferences. No one believes that no tax money was used. But that's their story and they're sticking it to you. Does Phoenix PD own the guns? They'll tell you no sirree. How about Ms. Saizow and her outfit? If that's it, how did she get Phoenix PD to store eight tons of property for her, at whose expense, with all the testing, inventorying, labor, rushed time frames, please don't make me go on. "No tax money here." All the circumstances seem to imply tax money being used without proper authorization for a partisan anti-rights political agenda. The Arizona Republic, in an effort at balance, did report, "(Buybacks) make people feel good, but they do nothing to reduce violence on the street," said Joe Clure, president of the Phoenix Law Enforcement Association. "The reality of the matter is gun buybacks are doing zero percent for public safety." Where is it written the department has to rush? Just because they can't meet Bloomberg's (or whoever's) public pledge to destroy stuff quick before the law changes and they no longer have their loophole? What happens if they don't get to burn it all in time? Do they turn into pumpkins? 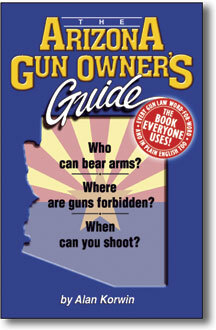 The only image available of the guns is this one from a newspaper, The Arizona Republic, credited to a TV station, Channel 12 News, the local NBC affiliate. The one relic on the right looks like a replica, most of the guns appear old and cheap, some are incomplete, including one in a baggie in the upper right. Nothing appears labeled or controlled -- a good model could simply walk and who would know -- maybe that's why there are none visible. If there is any accountability for the 2,000 anonymously purchased items, it is a mystery. By rough count, at the city's going purchase price, that's about $3,300 worth of guns pictured right there. Note the difference between this caption and the one published. There's another strange thing about all this. Why bother with all the ballistic tests if you plan to destroy the evidence? Phoenix PD is racing to test fire all the guns someone owns that they're holding onto, and they're saving the spent casings and fired rounds. 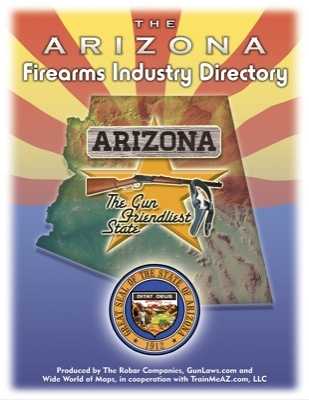 These they're entering into a new national database of spent ammunition in the hopes, they claim, of finding a match, probably down the road, with a crime gun when more states -- even Tucson -- joins the national database and makes entries. Well if they find a match, they'll have destroyed the evidence that would matter. No fingerprints, no DNA, no fibers, the gun itself can't be called into evidence, because it no longer exists -- it was deliberately destroyed by the people who did all that work to catalog it. They're really using Saizow to test out and grow their new tool. That was probably part of the draw for them. The crime-fighting capacity appears to be nil or even upside down, if the evidence is vaporized. But hey, it's not their money, before or after the fact. They're not volunteers you know. Come to think of it, this system is the perfect way for a killer to dispose of the murder weapon -- have the police do it for you. Even if the police find a match, they have no idea who gave them the gun, it's a no-questions-asked policy, they just take guns and say have a nice day. The ballistic tests are gear practice with virtually no practical value. How does that help Mayors Against Guns? Sounds irrational to me, almost hoplophobic. -- Where are they getting all that ammunition, and how is that paid for? How many wacky old calibers do they need, or is that anonymous too? That must be fascinating, it ought to be publicized, a segment on "How It's Made," since it's a public entity doing the simple work. It would make for good public relations. -- Are all those old crapola guns safe to shoot? When we had to shoot a questionable old relic, we tied it to a tree and set it off with a string. Is that how they do it? They must have a jig of some sort. That's a slow process. 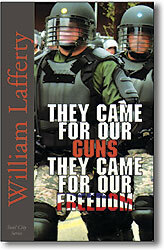 -- When BATFE goes after gun irregularities, they follow the money just as you would expect. It doesn't seem unreasonable to think that the man (or men or women or entities) who actually spent the $200,000 (a lot of money!) to get the 2,000 guns might actually be out-of-state buyers, despite the well-laundered cash and distracting publicity barrage of the process. Take someone's word, or require depositions? -- Because the money source is hidden from scrutiny Ms. Saizow, her group, the Phoenix police, the City Council and the mayor find themselves in an awfully sticky position. Who actually owns all these guns they bought? If it's the people, as with any other city asset, destroying public property borders on a criminal act, even if you did pinky swear to a friend. Oh, I'm sorry, is there a contractural arrangement we don't know about? -- Because the guns are going to be destroyed -- with as much public scrutiny as the rest of this sordid affair has received -- there is no real assurance that the guns will be reduced to ash. If any of those guns walk, how will you know? Ask the police? Ask, uhh, BATFE? -- If BATFE wants to take some heat off itself, refocus and do some good for a change, they ought to require the source of the $200,000 to be revealed, in case it is indeed from out of state. A crime of such magnitude cannot be allowed to simply coast by. The source of this money, for buying this many guns with city and police cooperation, cannot remain a secret. Where's the paper trail everyone else would be required to have? *MAG has a sordid history. Mayor Bloomberg got into buckets of hot water a short while ago for sending secret "investigators" to Phoenix and elsewhere to buy guns at gun shows to "prove" he could buy guns out of state. He squeaked out of formal charges because people that rich who run cities as big as New York have a lot of pull and a lot of armed guards. I've been working this for over a month. This note 6/21/13. is to eyeball the collection and shed some light on what's going on. Here are the key questions. Thanks for asking me to compile these. I've been in touch with (20), it's the most comprehensive summary I've made. People have been nice so far, but busy and, "I'll get back to you,"
and this is potentially quite serious, as you'll see below. P.S. Mr. Zuercher, thanks for your encouraging note. 1. Who gave the order to destroy the guns purchased with grocery gift cards during the Phoenix gun buyback in May 2013? 1a. Who put the police under an apparent order to race against time to beat the legislature's new statute that closes the supposed loophole against destroying this city-held asset of 2,000 firearms? 1b. Who actually owns or has title to the 2,000 buyback firearms now in the city's property office at 100 E. Elwood? 2. When the police take possession of abandoned property other than guns, such as cars, boats, electronic gear, clothing or other physical property, is there an automatic requirement to destroy such property? How is such property handled, and why are the guns being handled any differently? 3. What assurance does the City Council have that the anonymously provided $200,000, used to purchase multiple firearms during the buyback, was from a source that could legally be transferred to third parties (apparently Hildy Saizow of Arizonans for Gun Safety, and then Basha's, AJ's and Food City) for the purpose of purchasing firearms, and then legally used to purchase multiple firearms in the state of Arizona? In other words, does the City Council have assurance this is not a straw purchase? 4. Describe the audit trail that ensures that all guns collected during the buyback will be accounted for prior to and after the proposed destruction process. 5. Since the $200,000 in anonymously donated funds were expended in purchasing the 2,000 guns from local residents, how are the expenses of inventorying, cataloging, test firing, supplying ammo, photographing, databasing and all other ancillary handling of the firearms being covered? 6. What is the total cost of running the gun buyback program after the purchase of the 2,000 guns? 7. When can select members of the City Council, state legislature and local experts who have expressed an interest in witnessing the results of the buyback examine the collected property being held by the city? 8. If officials are refused an opportunity to witness the collected property, who can independently verify the claims made about the numbers of guns, their condition, and their presence at the police property office? 9. 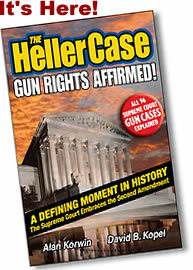 Since forensic evidence is being gathered from the collected guns, in the form of fired bullets and spent shell casings, and photographs and database entries of same, for future comparison to possible crime-scene evidence entered into a national database, is it proper to destroy evidence in the form of the guns that fired those rounds? 10. How will Phoenix PD respond to requests from prosecutors or defense attorneys seeking those firearms in cases related to the forensic evidence being collected and entered into the national database? 11. What percentage of the 2,000 guns are "junk" that cannot be fired, or cannot be safely fired, and what percentage are "historic" or otherwise of significant value and worthy of being saved, as published reports indicated the police planned to do, who makes that determination, and what will become of those? Let me just comment that so many questions exist with regard to this highly controversial program that failure to investigate such questions thoroughly exposes the city and the police department to potential liability they should wisely seek to avoid. Because the mayor and the police actively cooperated in staging this program, any appearance of neutrality is unfortunately lost, and every effort should now be made to rectify possible exposures before irreparable harm is done and the assets and evidence are willfully destroyed. Legislative intent is self evident and does not support asset destruction. The planned destruction should be delayed to allow careful analysis and thought. Allow, indeed demand, robust scrutiny of the entire program. Reconsider the possibly ill-conceived notion of destroying the only private property specifically protected in the U.S. Constitution, and instead, perhaps apply some of it to the noble and decent uses for which it was designed and made -- protection of the public and defense of liberty. At the very least, shine light on this project while there is still time. P.S. It dawned on me later -- there is no apparent way that advertising and buying 2,000 guns for $200,000 can be legally justified as private sales under federal gun law (generally, 18 USC §922 or §923 et seq.). This sort of commercial-scale gun buying would seem to require a federal firearms license to be legal, even if the plan is to destroy the property after purchase, even if you get the police to help out (and police deny direct involvement). Now there's a real fine dividing line for dealing without a license when BATFE is trying to pin a case on you (q.v., CFR §178.11). This sure isn't the allowable "occasional sales, exchanges or purchases of firearms for the enhancement of a personal collection or for a hobby," and it sure involved "a person who devotes time, attention and labor to dealing in firearms," but not for profit or livelihood, so they're in a real gray crack area. No FFL was involved apparently, or if one was, all sorts of violations took place, including no mandatory 4473 forms. The recent "Demand Letter 3" Eric Holder has placed against Arizona (and CA, NM and TX) would require rapid reporting of two or more specified rifles bought on the same day. I've asked some lawyer friends to respond, maybe they can think of something I've missed, but I don't see anything in federal law that remotely allows such activity. If there was, we could all run similar programs. I can hear some people salivating at the thought. 12. 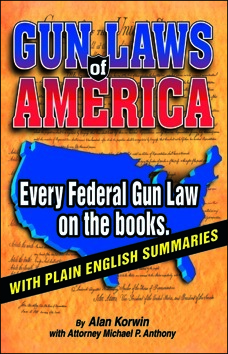 Under what exemption from federal law can the person or persons running the program advertise to buy hundreds or thousands of firearms from the general public, on multiple days from multiple locations, without a dealer's federal firearms license? 13. Does the intention to destroy all or most of the purchased firearms somehow justify the massive purchases under federal law? If so, how? 14. 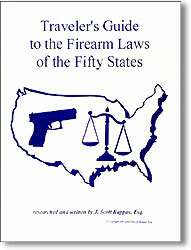 If, as the legislature believed and the statute will soon require (on Sep. 13, 2013), the purchased firearms must be preserved and they simply go back into commerce through normal background checks, would this allow other private advertisers to purchase thousands of firearms, with or even without police cooperation? 15. How would another person or entity proceed to have the police participate in an anonymously funded public gun "buy up" so the guns could be collected, inventoried, and then resold, as specified under statute? A publicity stunt has given the impression that Mayor Stanton and Phoenix officials are "doing something" about psychopathic murderers. It claims to have spent $200,000 -- with no audit trail -- buying rusted, inoperable, obsolete and other firearms from residents for $100 grocery cards last month. Entrepreneurs lined the streets offering cash and getting some great deals. Salinas v. Texas, a brand new Supreme Court gun-case decision has determined that your silence can be used against you as evidence of your guilt. Two years prior to this decision, the book After You Shoot recommended that you make an "Adnarim Statement" (Miranda spelled backwards), before you are Mirandized, so your silence cannot be used against you. Now the High Court agrees with this book's advice. See what else is in here.